See my first posting for a brief explanation on what ECM is. 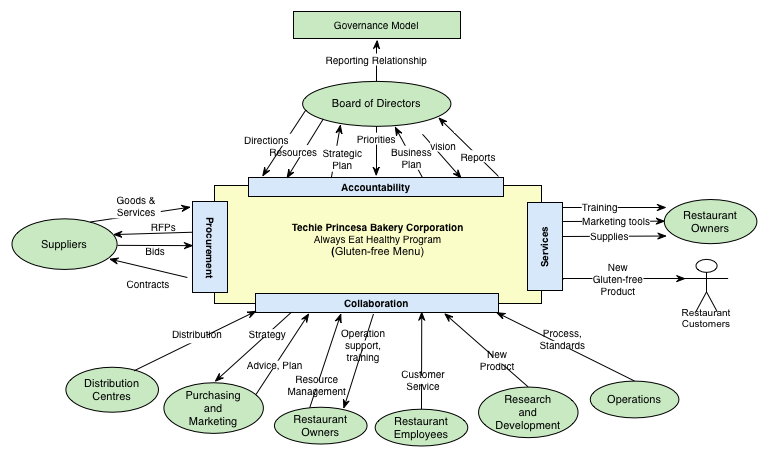 Here is an ECM of a fictional company called Techie Princesa Bakery Corporation. What is Technology Architecture (TA)? Includes but not limited to IT infrastructure, networks, middleware, communications. When trying to define a business, it is critical to understand the context of the business such as the following to ensure that those who are involved have a clear understanding of the business, their roles and responsibilities. Enterprise Context Model (ECM) is a Business Architecture artifact that provides a single view of the key stakeholders involved in the business. It also establishes a framework to further breakdown and understand the business. 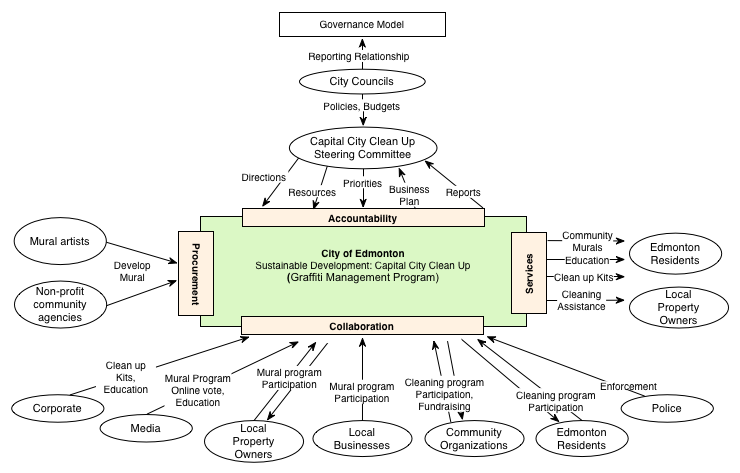 Here is my attempt to come up with an ECM for City of Edmonton’s Graffiti Management Program. Refer to “Architecture for the Business – By the Business” presentation by I&IT (Office of the Corporate Chief Technology Office) if you are interested in learning more about Business Architecture and ECM. Here is a Conceptual Data Model that I produced for an Enterprise Architecture Certification course I took at University of Toronto. 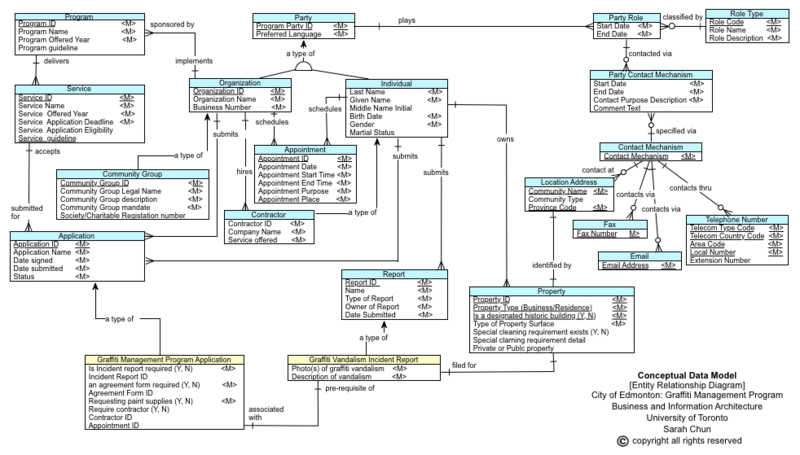 My attempt was to create a Conceptual Data model: Entity Relationship Diagram for City of Edmonton’s Graffiti Management Program, based on the information I found on their program website.